Tartabull’s dad, Jose, also played in the Majors. He played from 1962 to 1970 with the Kansas City A’s, Boston Red Sox, and Oakland A’s. Jose is best remembered for a play he made while with the Red Sox. During the 1967 AL pennant race, Jose threw out Ken Berry at home plate to win a key game against the Chicago White Sox. The play has been immortalized in the novel, Tartabull’s Throw, by Henry Garfield. Danny Tartabull’s son, Zach, is also worth mentioning. Just a few weeks ago (July 13, 2008), Zach was the subject of an article in the L.A. Times sports section. Apparently, 16 year-old Zach is one of the top wide receivers in Southern California. He participates in football and track at Valencia High School, but does not play baseball because “It’s a little too boring for me,” he says. I wonder if he has read Tartabull’s Throw. Wow, I bet when you started reading this blog you didn’t think you would be reading about werewolves, time travel, and high school football. And now you have a sudden urge to go to the library, don’t you? Cora spent his first three seasons with the Padres averaging .274 batting average. In 1991, he was traded to the Chicago White Sox where he hit .276 in 1994. He was traded to the Seattle Mariners on April 6, 1995. 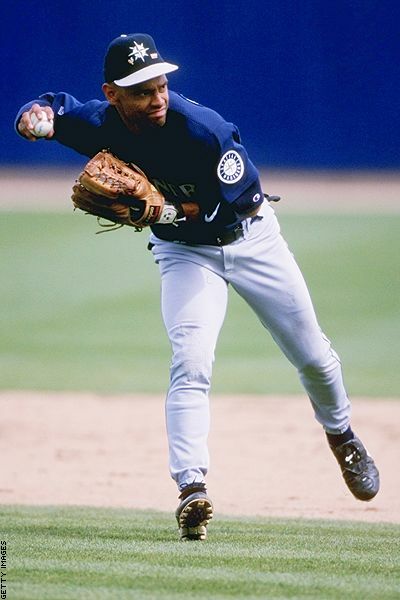 Cora is perhaps best remembered for his time in the Seattle Mariners organization where he hit .297, .291 and .300 in 1995, 1996 and 1997 respectively. Cora was a key piece of the Seattle Mariners 1995 ALCS run. Cora was an All-Star in 1997 hitting 11 home runs, 54 rbi’s and 105 runs in 1997. 1995 Mariners is a good blog to check out for memorable stories from the Mariners’ 1995 Playoff run. You can watch Arod and Cora take infield together back in 1995 on MLB.com. PF’s blog on FoxSports.com put together a lineup of the greatest Mariners of all-time. Joey Cora didn’t even make it as a backup. Who did? Bret Boone and Harold Reynolds. Who made that bogus list? Cora spent most of the 1998 as a Mariner, but with the team falling out of contention he was dealt to the Cleveland Indians for David Bell. After being injured he signed a free-agent contract with the Toronto Blue Jays during the off-season, but retired without playing a game. For Cora’s complete career statistics see the Baseball Almanac. After retiring, Cora became a manager in the New York Mets minor league system. In 2003 he was hired by good friend Ozzie Guillen as a third base coach. 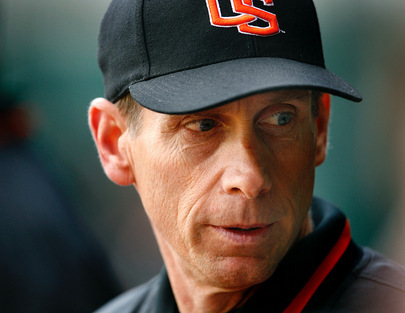 He occasionaly serves as an interim manager when Guillen is suspended or ejected from a game. He also managed the Venezuelan Winter League baseball team Tiburones de la Guaira in the 2005-2006 season with a record of 31-31 (.500). Cora has been a finalist for the Pittsburgh Pirates and Washington Nationals managerial positions, suggesting that one day we will see Joey as a manager in the big leagues. Joey won a World Series ring in 2005 while coaching the Chicago White Sox. In 2005, Jermaine Dye lined a foul ball off of Joey Cora. Joey’s younger brother Alex Cora is a middle infielder for the Boston Red Sox. In 2006, while coaching the American League All-Star game, Joey Cora accidently hit Cubs pitcher Carlos Zambrano with a Fungo Bat. According to MLB.com, Zambrano backed into the bat while Cora was warming up the American League All-Stars. Ever wonder how much Joey Cora’s baseball cards are worth? You’re not alone. Chapman was a star at Kentucky. He was named All-SEC during his freshman and sophomore years and scoring 1,073 points in only two years (Wikipedia). He averaged 16 ppg in his first year and 19 ppg in his sophomore season with Kentucky. Check out Big Blue History for Chapman’s complete statistics at Kentucky. After his sophomore year, Chapman declared for the NBA Draft. Chapman said scrutiny of his private life by athletics department officials, boosters and others hastened his departure from Kentucky. He left after two seasons and entered the NBA Draft in 1988. In 2005, Chapman told The Courier-Journal that school officials tried to stop him from dating black women or at least “hide it” rather than inflame fans when he played at Kentucky. Once, someone took a key and scrawled a racial epithet on his car door, he said. He said he also was the subject of obscene jokes. Ex-Oklahoma State coach Eddie Sutton was Chapman’s coach at Kentucky. 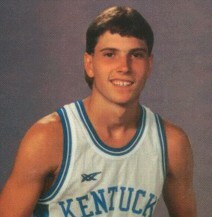 The Starting Five even rated Rex Chapman as the 34th greatest college basketball player of all time. In his rookie season with the expansion-Hornets, Chapman averaged 16.9 points per game. Though, the Hornets went 20-62. Chapman is remembered by many as one of the greatest Caucasian dunkers of all time, and is one of only five whites to participate in the NBA Slam Dunk Contest, the others being Tom Chambers in 1987, 1996 Champion Brent Barry, Bob Sura in 1997 and Chris Andersen in 2004 and 2005. He was the Hornets MVP in 1990-91. Chapman was traded to the Washington Bullets for Tom Hammonds in the middle of the 1991-92 NBA season. Chapman battled injuries with the Bullets for four straight seasons playing in limited games. 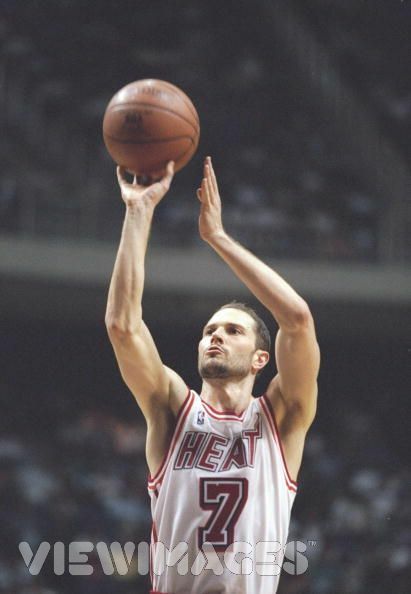 In the 1995-96 season, He had his second major injury during the latter season before being traded to the Miami Heat. Interestling enough, he was noticibly losing his hair, and opted to shave his head completely and sport a bald look. Chapman had a what started out as a great season, and averaged 14.8 points per game that year, but he was placed on the injured list again and only participated in 56 games and eventually signed with the Phoenix Suns for the 1996-97 season. 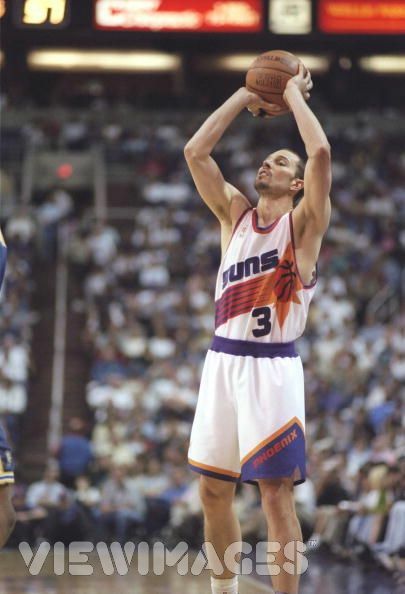 Chapman was a fan favorite for the Suns and he hit a game tying shot in game four of the 1996-97 first round playoffs against the Supersonics. With the Suns up two games to one, they trailed the Supersonics in Game 4 by three points with seconds to go in Phoenix. Chapman saved an errant pass from going out of bounds and hit a game-tying three-pointer while falling out of bounds to send the game into overtime with 2.2 seconds left. What the video doesn’t tell you is that the Suns ended up losing the game and eventually lost game 5. Chapman played 68 games during the 1997-98 season for the Suns, scoring almost 16 points per game. But he would be injured again during the strike shortened 1999 season, playing 38 games. Chapman retired from the NBA during the 1999-2000 season after being re-injured. Once again, we’re not the only ones wondering what happened to Rex Chapman. Rex Chapman’s house can be seen from the sky via Virtual Globetrotting. Unfortunately no one has reviewed Chapman’s movie (Rex Chapman Teaches Basketball’s Jump Shot) on Rotten Tomatoes. 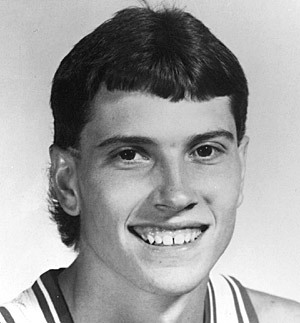 How about a tribute to Rex Chapman? Rex Chapman and his wife also own a restaurant. (Location) And we found a site where you can read all about the violations of Rex’s restaurant. Rex was one of the original spokesmen for AND1, who gave Rex his own shoe. In a commercial, Rex stated “My opponents will get to see a lot of (the shoes)… right at eyyyye level!!! !” (Wikipedia) No word yet whether there is a Rex Chapman AND1 mixtape out there. It’s also nice to see people still rocking Chapman’s jersey. Due to my very busy schedule right now, blog writing is taking a temporary back seat. Baerga’s blog entry is gonna be late. It’s just something you’re gonna have to deal with. caught 52 passes for 820 yards including 4 touchdowns in his rookie season with the Colts. He was traded to the Falcons as part of the infamous Jeff George block-buster deal. 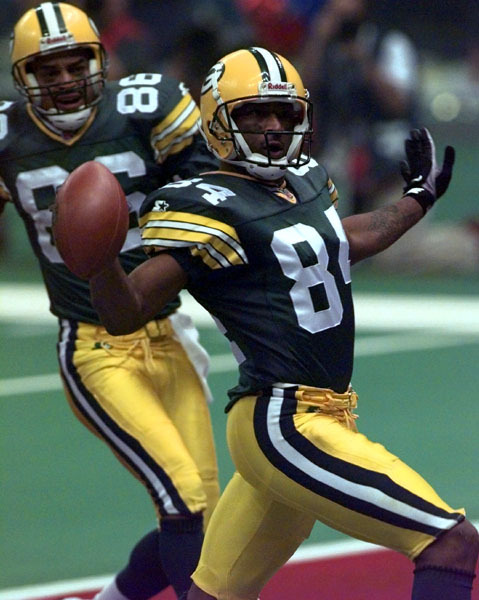 Led the NFL in receiving touchdowns with 15 in 1993. After the 1994 season, Rison signed a free agent contract with Cleveland, where he was expected to bring his flashy playing style and become the featured receiving threat for the Browns, who had made the playoffs the year before. Played one season with the Browns and had career lows in receptions (47), yards (701), touchdowns (3), receptions per game (2.9), and yards per game (43.8). Due to Rison’s poor play, he developed a feud with the Cleveland fans, who were angered over the announcement that the team would be relocating to Baltimore and tired of his incredibly disappointing play. 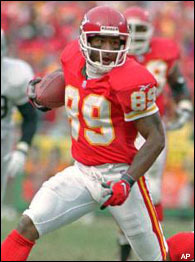 In his final NFL season, with the Raiders in 2000, Rison caught 41 passes for 606 yards and 6 touchdowns. Rison was also well known for things aside from his play on the field. 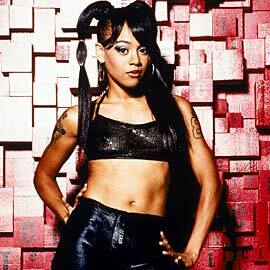 In 1994, Rison’s Atlanta mansion was burned down by his then-girlfriend, the late Lisa “Left Eye” Lopes of the R&B group TLC, resulting in the loss of all his possessions. He was given the nickname “Bad Moon” Rison from ESPN sportscaster Chris Berman (aka “Bad Moon Rising” by Creedence Clearwater Revival). While playing for the Kansas City Chiefs, Rison tried to popularize the nickname “Spider-Man,” reflecting his touchdown celebrations where he posed like the superhero flinging spider webs…but the nickname never really stuck. Rison was also sometimes mocked as “Smokey”, “Fireman”, and “Flamer” in reference to the infamous Lopes arson incident, as well as Brock Middlebrook, after his attempt to deceive police after he threw a man through a window at the Bo’s and Mine, a local River establishment near the site of the Chiefs training camp. For the incident he makes the Chiefs Hall of Shame. Add Rison to the RFP Pro’s vs. Joe’s Hall of Fame. 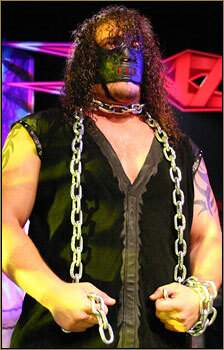 During one episode, TNA wrestler Abyss gave Rison his finishing maneuver, the Black Hole Slam (kayfabe) when Rison offered Abyss a handshake. Rison had to be helped from the ring during the commercial break. 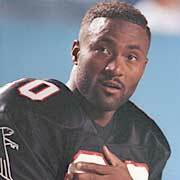 Andre Rison frequents a Tiki Bar called The Bamboo Beach Tiki Bar in Fort Lauderdale, Florida. Looks like he is making the most of his retirement. Rison even has an official website, along with a myspace (also official). 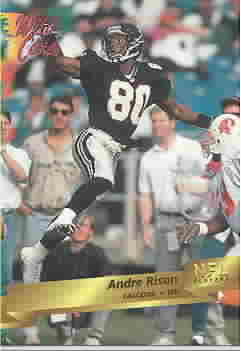 Back in 2007, Ladies Love Sports asked us to remember Andre Rison. Bam won the 1993 Doak Walker Award after rushing for 1,752 yards for Texas Tech. He beat out San Diego State’s Marshall Faulk for the award. 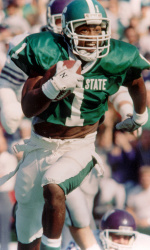 Bam’s 1,752 yards broke a Southwest Conference record for single season rushing yards previously held by Earl Campbell, and was the second highest mark in the nation that year. Bam, who’s real name is Byron, was one of two Byron’s from Texas Tech to win the Doak Walker Award in a span of 4 years. The other? Byron Hanspard, who we featured on this site earlier this month. 1996- Police found 4 kilograms of marijuana and 1 gram of cocaine in his car during a traffic stop. Fined $7,000, sentenced to 200 hours of community service and 6 years probation. 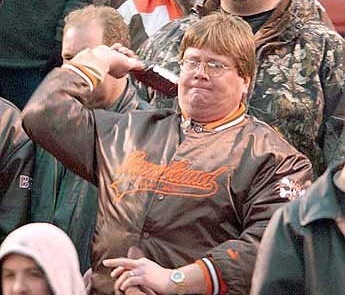 He was cut by the Steelers after he pleaded guilty. 2000- Pleaded guilty to two counts of Federal drug trafficking (distributed 100 kg of marijuana in Kansas City area from 1998-2000). Sentenced to 30 months in prison. 2001- Convicted of violating his parole from his 1996 plea bargain, sentenced to 10 years in prison. Released on July 31, 2004. He also joins past RFP of the Day Elvis Grbac on George Blowfish’s list of Players Who Really Sucked. In 2006, the Pittsburgh Tribune-Review reported that Morris was trying to make a comeback in the NFL. He had recently signed with the Katy Copperheads (now the Texas Copperheads) of the National Indoor Football League to restart his professional career. Most recently, Bam popped up in the news in January 2008 when he offered advice about prison to Michael Vick, who is serving time at the same place that Bam did. After the 1988 season he was traded to the Chicago Bulls for Charles Oakley. Cartwright was the starting center for the Bulls when they won back-to-back-to-back NBA championships in 1991, 1992, and 1993. Cartwright ended his career with one uneventful year with the Seattle Supersonics and retired in 1995. Cartwright eventually won two more championships with the Bulls, this time as an assistant coach in 1997 and 1998. He also served as head coach for the Bulls from 2001 to 2003. He was replaced just 14 games into the 2003-2004 season. He is now an assistant for the Phoenix Suns. He has a very hoarse voice that is the result of an elbow to the throat that damaged his larynx in a game against the Indiana Pacers.